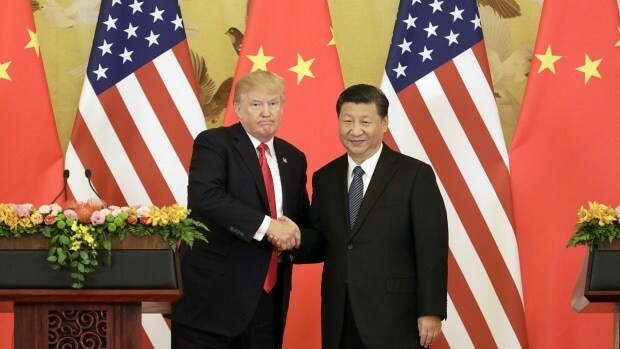 US and China trade war took centre stage for the past 3 weeks creating huge market volatility across the global markets. US market alone corrected close to 15% from its high. SP500 drop 11% from a high of 2872 to 2581 and Dow dropped 12% from 26,616 to 23,533. There is a saying that the modern warfare of today is the war of economy, no longer arms. If so, tariffs would be the main weaponry. 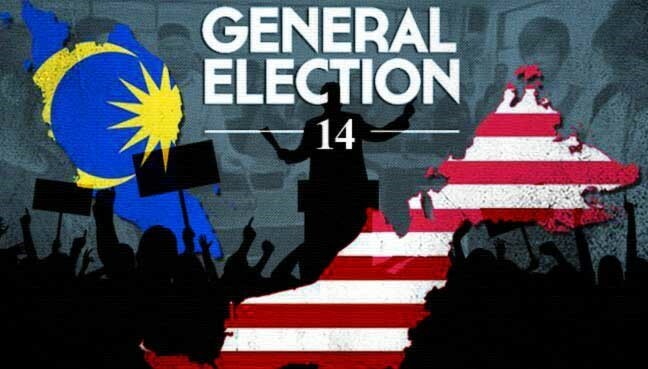 On top of that, Malaysia's Parliament has dissolved and the country will be facing the GE14 on 9th May. This may appear to be main theme for the next 1 month for KLCI and of course some of the concerns include Syria airstrike by the alliance consisting of US, UK and France. This led to the rally in safe havens and the oil price as well nearing almost 70 USD per barrel. Many asked Tradeview how come we are not recommending as many buys as we did in the past? Are we taking a prudent stance hence the reduction in recommendation? Actually we did reduce but we have been calling a number of stocks especially in our private group. We do this very carefully and based on our specific FA metrics. Most importantly, we time our buys, meaning we only choose to buy if the market is weak and sell when the market is strong. Some stocks we buy and hold until the true value gets realised. Usually this are mid to long term stocks. However, there are those where the opportunity to buy is so good and we get such a good price, then it moves within a short span of time as it rebounded strongly. 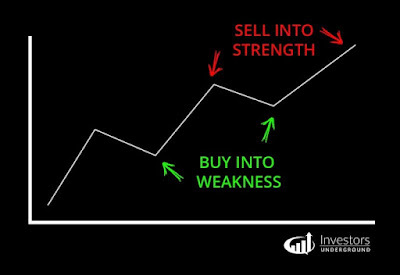 Today, we would like to share with all the very basic concept of buying on weakness and selling on strength. Usually, most people understand but few have the ability and foresight to practice such investment method. Even long time fundamentalist or FA investors, they find it hard to do. After all, who can time the bottom? Who can time the market so perfectly? It is extremely difficult to find the bottom what more time it to precision. Hence, we usually advocate this rule too our readers, if the stock price fall below our Tradeview FA metric and the levels is attractive enough with the right margin of safety, then you can consider. However, always wait for the price to stabilise before making the call. We will show some of the examples of the calls we have made recently during the buy low sell high period. Our initial valuation for Hengyuan was around RM10. When it went to a high of RM17 last year, many asked us repeatedly why we didnt call Hengyuan and arent we bullish with the prospect. We are conservative and prudent. Since we missed and the valuation was too high, we said can wait for opportunity to collect on weakness. We called at any price below RM6.50 for Hengyuan on 4th and 5th April as per the above chat group message. The rest is history. Hengyuan rebounded shortly after that when the trade war concern subsided a little and went up to as high as RM9.50. This is close to 40% return in less than 2 weeks. Similarly for PetronM, our initial valuation for will be RM9 and we called on 4th and 5th March for any price below RM7.50 was good to buy. This is our prudent estimation without taking into account of the full year growth. PetronM reboounded to RM9.60 in less than 2 weeks. Our initial valuation for VS would be around RM2.50. When the share price fell to RM2 and slightly below, we knew this was the opportunity and called a buy on 5th April as well. VS rebounded to as high as RM2.40 in subsequent days and became among out top gainers that week. Till today KSSC remains as one of our under the radar favourite gem. I remembered when we chose KSSC as our 2017 value pick, many were upset as the share price did not reflect. Until this year, it shot up all the way to 75 sens before retreating gradually. It is a significantly undervalue but it was a short span of time. Later on KSSC management declared dividend of close to 5% to reward shareholders. We maintain our initial valuation for KSSC to be RM0.65. When the market fell the other day, it fell to as low as 38 sens. That was a no brainer. Today it is hovering around 47 sens with more upside intact. 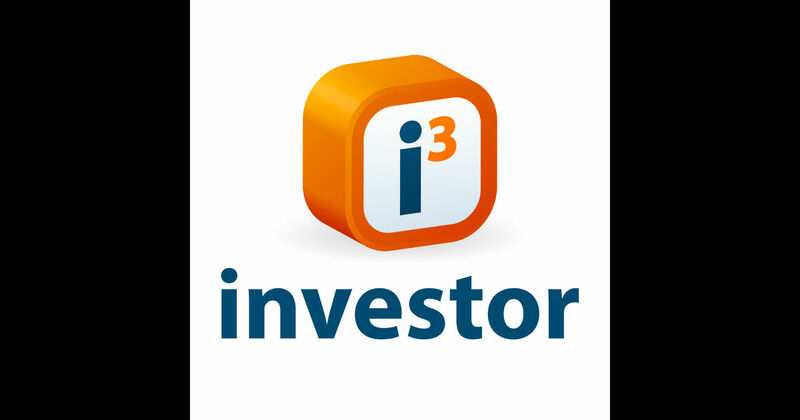 Our initial valuation for Uchitect is RM3. This was even before the capital repayment to shareholders were announced. When the market was weak, it fell to as low as RM2.30. We advocated to all our readers to consider buying on weakness. It remain was one the big gainers and rebounded strongly from Rm2.30 up to RM2.80 in less than 1 week. MediaC goes without saying is one of our solid and safe buy. Many would have known by now the reason for the surge is due to their separate listing in HKEX, One Media Group's 10% stake in Most Kwai Chung which saw a 2000% over subscription for the retail portion during a recent IPO in end March. While this is a valuation play, the fact is also because we believe MediaC is undervalued with only upside, not downside. 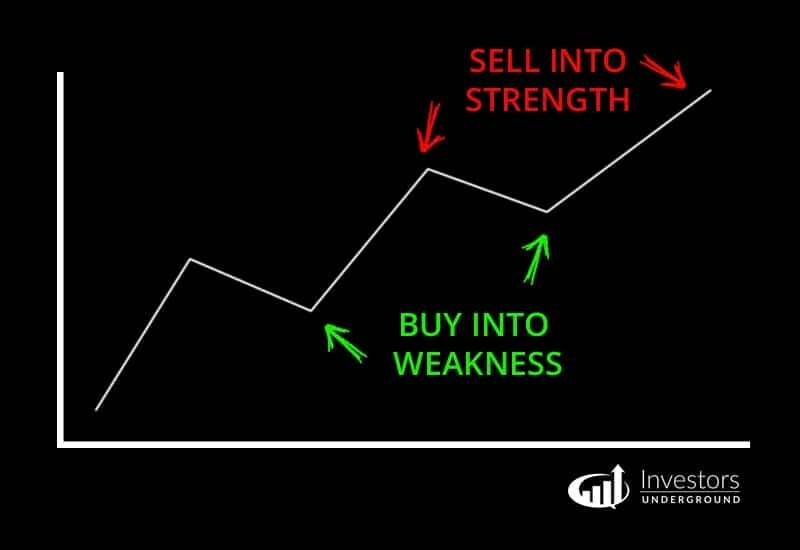 We believe buying now on weakness is an opportunity for when it is time to rebound. There are many factors to consider, one of it is the assets of the company surpass its share value, and whilst the earnings are indeed dwindling, the group may receive bumper earnings from election period. There are definitely others to the list of stocks we have watched, observed, consider, and called. Mostly with the market continuously being volatile, May is coming, election is soon, earnings season fast approaching, there is no doubt that we will see opportunities like this appear in the market. Hence, when the time comes, opportunity knocks, and value surfaces, what would you do?